On the sustainability circuit, much of the discussion these days is around science-based goal setting. The approach to setting greenhouse gas reduction goals according to science means that a company or a sector must understand just how much decarbonization is needed – and by when – to keep global warming under the 2°C cap. Where’s the science in SBT? The scientific part of this approach comes from science providing proof that we are not moving fast enough to limit the effects of climate change by setting conventional reduction goals. We now know that for some businesses, reducing their carbon footprint by “20% by 2020” is not good enough to future-proof their supply chains and operations. While science will continue to evolve, we have the knowledge to set more meaningful goals. Many businesses have heeded the call. Commitments made at the COP21 Paris Agreement put this concept on the headlines and it has since gained incredible momentum with the Science-Based Targets initiative (SBTi), whose ticker now counts some 307 companies that have committed to setting targets and taking action. 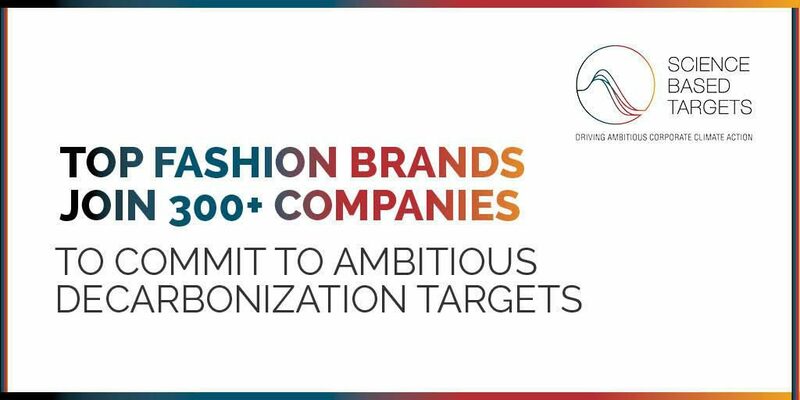 Just recently at Climate Week in NYC, 6 top apparel brands banded together to make a fashion statement by joining the initiative. Scope 3 can account for > 50% of a company’s carbon footprint. Many companies see their science-based targets refused because of lacking or incorrect Scope 3 measurement. The SBTi provides 7 methods that can be used by companies to define science-based targets (see manual). These methods can follow 3 types of approaches: 1) sector-, 2) absolute-, and 3) economic-based approaches – following various allocation mechanisms. The approach – which includes 13 sectors to date – enables companies in these sectors to set refined objectives, i.e. those based on capacity for reduction, growth trajectories and other economic factors. At the same time, other sectors are currently developing new guidelines. 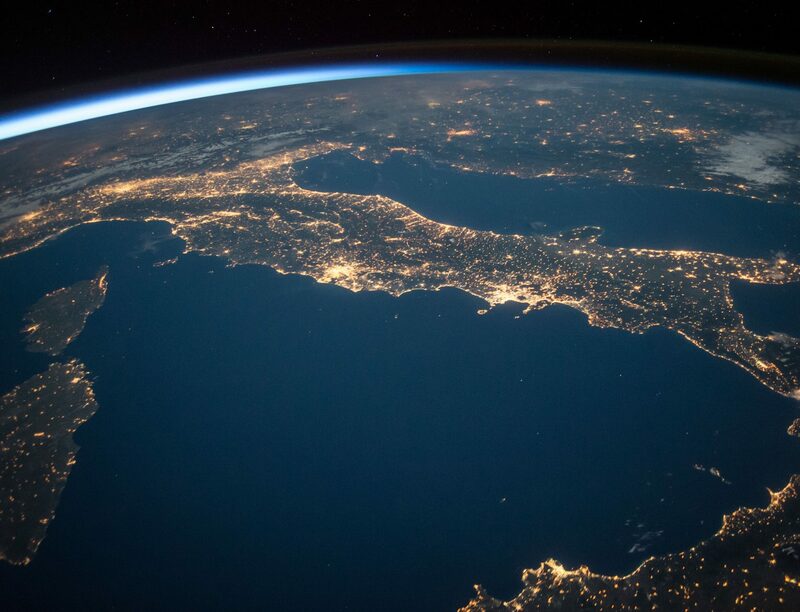 Some may question the scientific basis of science-based targets, because methodologies are still new and evolving; however, in a global economy facing urgent climate change challenges, we must not wait for science to be 100% robust or perfect. We urge businesses to acknowledge that the methodology put forth is indeed good enough and actionable. Setting science-based targets represents a real shift in climate strategy for businesses. It is a shift from quick wins to long-term goals that can truly reshape a business’ operations. It broadens the scope, from what the company can achieve – however ambitious – to what it must achieve. Then, a company must move from targets to action. Companies must deploy actions to reach these targets. And to be actionable, they must be linked to the business. To do so, companies must not only assess whether their efforts and goals are aligned with the 2°C scenario but also consider whether they are tackling the relevant activities and deploying the most effective actions across the value chain to meet these goals. To reach science-based targets, roadmaps often include both known actions (short and long-term) and initiatives for future disruptive innovations. These action plans will combine quick environmental wins as well as long-term business model changes. To identify the most appropriate and effective actions across a company’s value chain and to set science-based targets, it is essential to perform a Scope 3 hotspot assessment. Defining targets based on a Scope 3 evaluation provides a systemic picture of the emissions across a company’s entire value chain. To be part of the SBTi, companies must submit their targets to the organization for review. Many companies see their targets refused because of lacking or incorrect Scope 3 measurements. Studies show that Scope 3 emissions can represent more than 50 to 60% of a company’s impact. With this level of impact, Scope 3 must be assessed robustly, through a corporate footprint or life cycle assessment. Carrying out such a robust measurement requires environmental assessment expertise as well as quality primary data. At Quantis, we are known for our solid expertise for delivering robust environmental measure and have supported hundreds of companies to measure their Scope 3 impacts. We guide companies to collect the relevant data, to understand their key hotspots, to set targets based on this information and to refine these over the years. To facilitate measurement, Quantis teamed up with WRI to develop the Scope 3 Evaluator tool and help companies conduct a first screening assessment of their impacts. + Define and deploy ambitious actions plans to effectively and efficiently reach targets. We are proud that the targets recently submitted by Farmer Brothers, a Texas-based coffee roaster, wholesaler and distributor of coffee, tea and culinary products, were approved by the SBTi. Farmer Brothers committed to reduce their absolute Scope 1 and 2 GHG emissions 11% by 2025 and 48% by 2050, using a 2014 base year. Farmer Brothers also committed to reduce their absolute Scope 3 emissions 7% by 2025 – and 31% by 2050. Learn more about the process in our case study. There is a significant paradigm shift taking place today where traditional targets and actions are sometimes not enough to protect our planet’s resilience. There are still many challenges ahead when it comes to setting and reaching targets; however, newly developed methods enable current companies to define ambitious objectives that will help limit global warming. 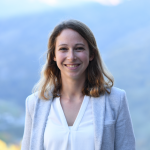 To learn how your company can set and reach science-based goals or to get started, check out our science-based goals resource page or contact the Quantis lead Charlotte Bande.